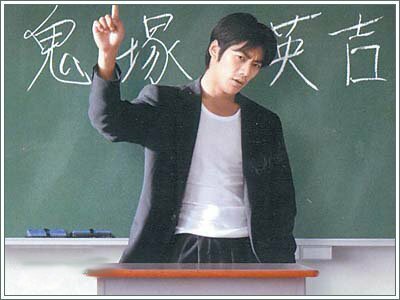 Summary: Sorimachi Takashi plays Onizuka Eikichi, a graduate of a third-rate University and the leader of a motorcycle gang, whose lifelong dream is to become a teacher. After being hired by a seemingly eccentric principal, Onizuka begins his unconventional way of teaching a hopeless group of troublemakers. Although he meets much opposition from the students and teachers themselves, his warmth and passion for teaching eventually convinces everyone that Onizuka truly has the makings of a great teacher.